Please email nadia.ahmed918@gmail.com for purchase inquiries. While making this piece, the artist was considering different aspects of work, labor, and production, especially as it relates to often underpaid and underrepresented groups (artists, women, poc, immigrants, etc.). 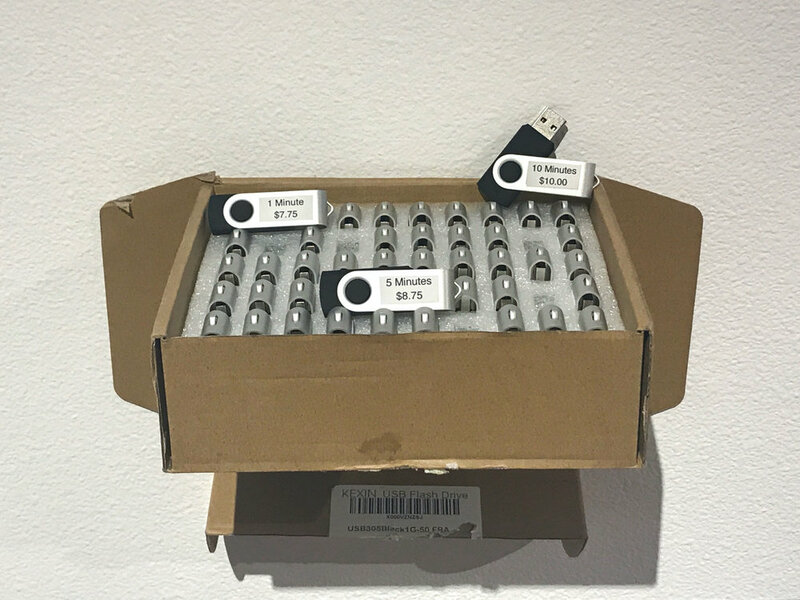 The piece consists of 50 flash drives each with a label that says only a time and a price. 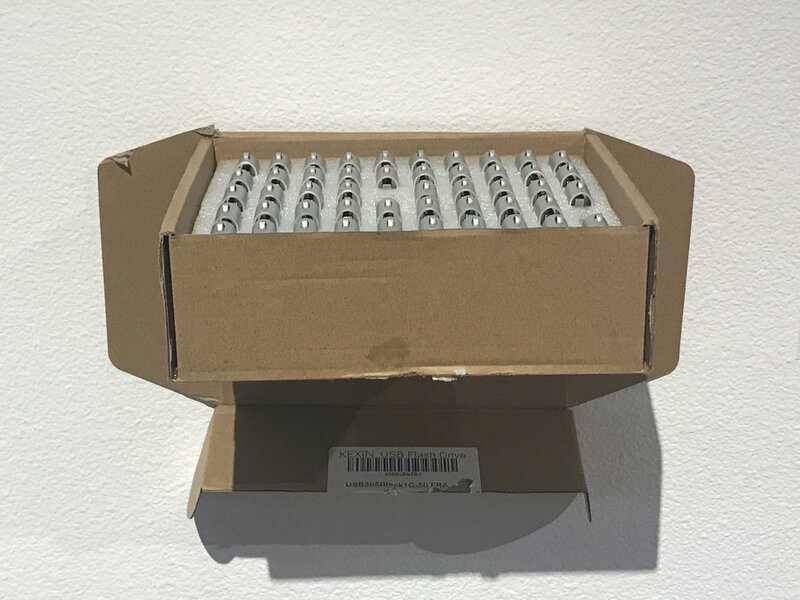 They were displayed in the box and packaging that they were shipped in, which was attached straight onto the wall. On each flash drive is a video of the artist looking at the camera for a set amount of time, doing nothing in the except very literally giving away her time. To determine the price, the total production cost (the flash drives, shipping cost, label paper, etc.) is added with the minimum wage per hour of the time that is recorded on the video. This price wouldn't actually be making a profit, it would just cover the factory cost. While this work was extremely labor and time intensive, it ultimately didn't really produce anything as far as the traditional interpretation of production goes. It is about making something not craft or skill based, but about the act and process of production itself and the labor (physical, emotional, and mental) that goes into it.